The fully automatic, compact preparation system that takes automatic specimen preparation to a new level. Hexamatic can process both specimen holders and specimen mover plates for individual specimens. Hexamatic can handle the production of many similar specimens or a few individual specimens of a certain type. Central force is applied to specimen holders that can hold differently shaped specimens, while force is applied independently to individual specimens in specimen mover plates. Hexamatic can be used for preparation of both individual specimens and specimen holders. It can be used with a conveyor for uninterrupted preparation of larger series, or for fully automatic preparation of individual holders. It is also ideal for the preparation of materials requiring different preparation methods due to the automatic exchange of up to eight varying preparation surfaces. Once a specimen holder or specimen mover plate is inserted in the conveyor, built-in sensors automatically detect their presence. This is displayed on the graphical touchscreen user interface, and a preparation method for each individual holder can easily be selected, ensuring automated reproducibility independent of the operator. 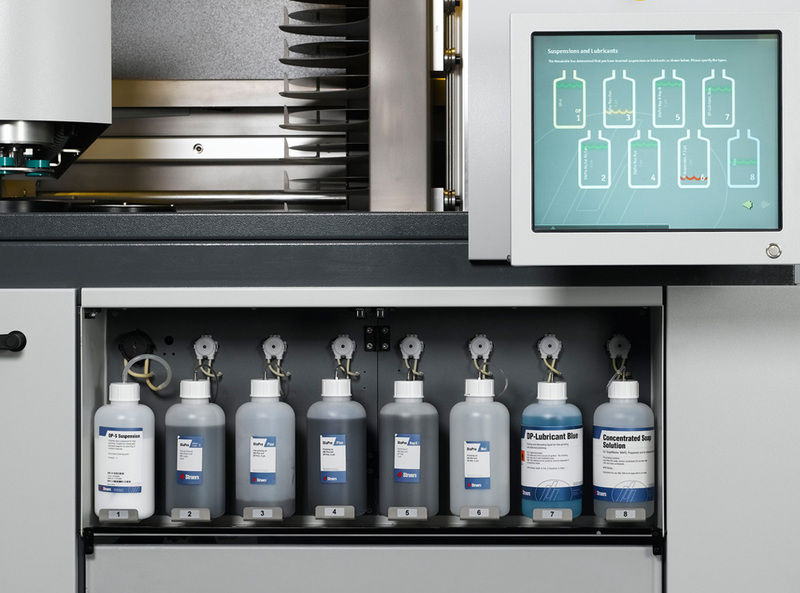 Hexamatic is ideal for the preparation of materials requiring different preparation methods due to the automatic exchange of up to eight distinct preparation surfaces. 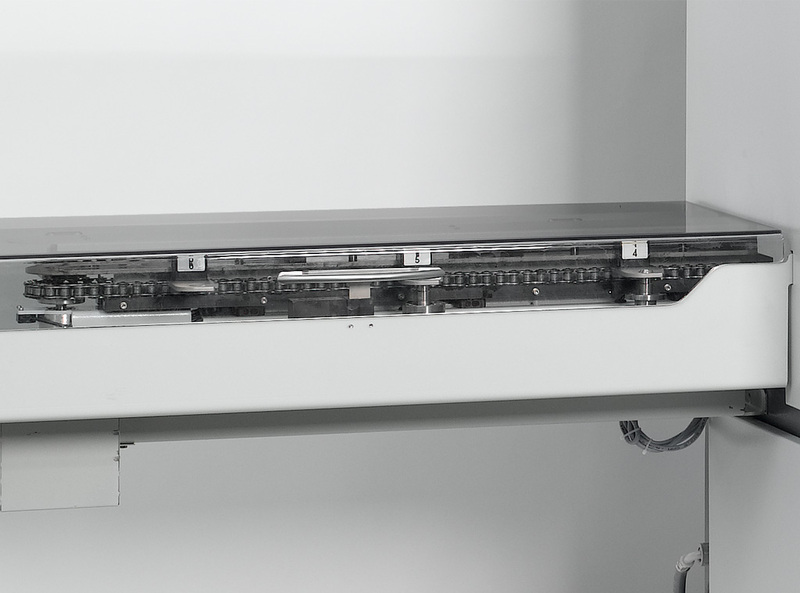 It can process both specimen holders and specimen mover plates for individual specimens without requiring the operator's attention. You can use it for uninterrupted preparation of larger series or the fully automatic preparation of individual holders, with or without the conveyor, if space is an issue. The conveyor is necessary for uninterrupted preparation of larger series. On Hexamatic, the dresser operates automatically and dresses the grinding stone in either pre-defined intervals or whenever the removal rate decreases. Hexamatic can be used with a grinding stone or a diamond grinding disk, depending on the material to be prepared. High speed plane grinding allows for the shortest possible preparation times. For the plane grinding station, a 50-liter recirculation cooling unit is used. 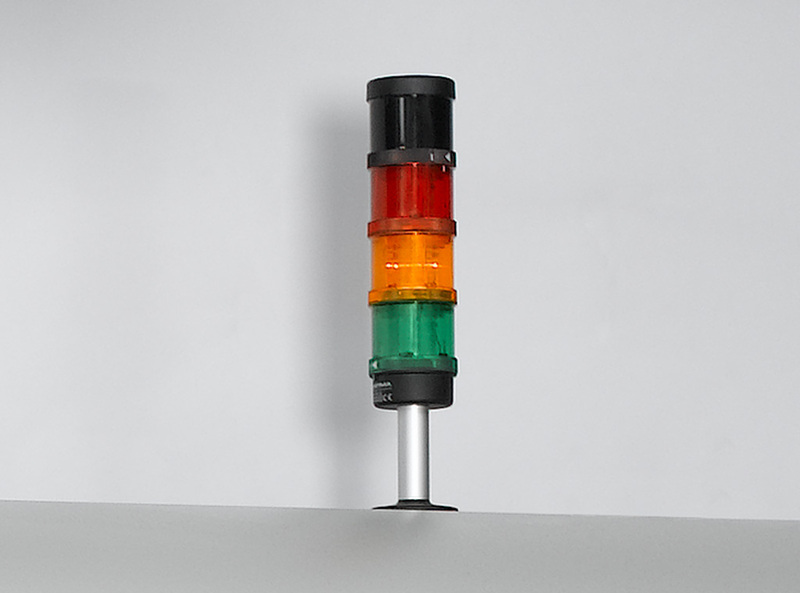 A beacon is always mounted on top of Hexamatic to show the current state of the machine. Hexamatic has a built-in, automatic disk exchange. Eight different preparation surfaces are stored in the elevator and exchanged according to the selected preparation method. 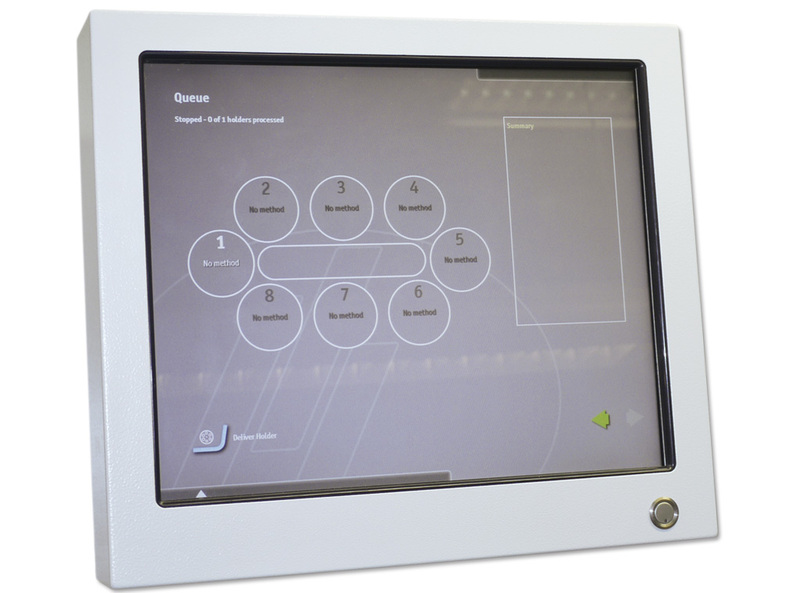 A large 17" touchscreen is used to operate Hexamatic. All functions are operated from here, and the process flow can be monitored in detail. All the necessary suspensions and lubricants are stored in eight bottles. The weight of the bottles is continuously monitored, and the operator is informed if the bottles are running low. Fully automatic preparation machine with one plane grinding station and one fine grinding/polishing station with eight exchangeable disks, a conveyor for eight specimen holders/specimen mover plates, a recirculation cooling unit, a bottle unit with eight peristaltic pumps, a stock removal unit, and two built-in cleaning chambers. With a built-in PC and touchscreen operation. 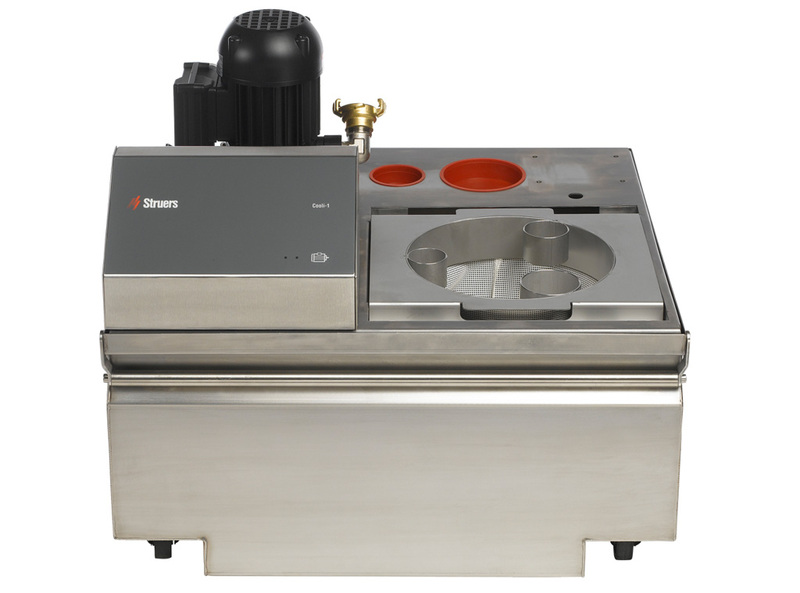 Fully automatic preparation machine with one plane grinding station and one fine grinding/polishing station with eight exchangeable disks, a recirculation cooling unit, a bottle unit with eight peristaltic pumps, a stock removal unit, and two built-in cleaning chambers. With a built-in PC and touchscreen operation.